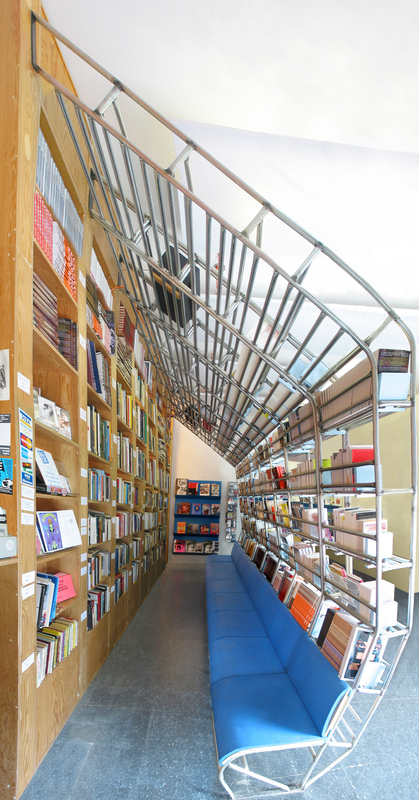 Shortwave is the first bookstore of Soft Skull Press, so it was important that the bookstore have a strong visual impact, but also be able to store all the press’s overstock. 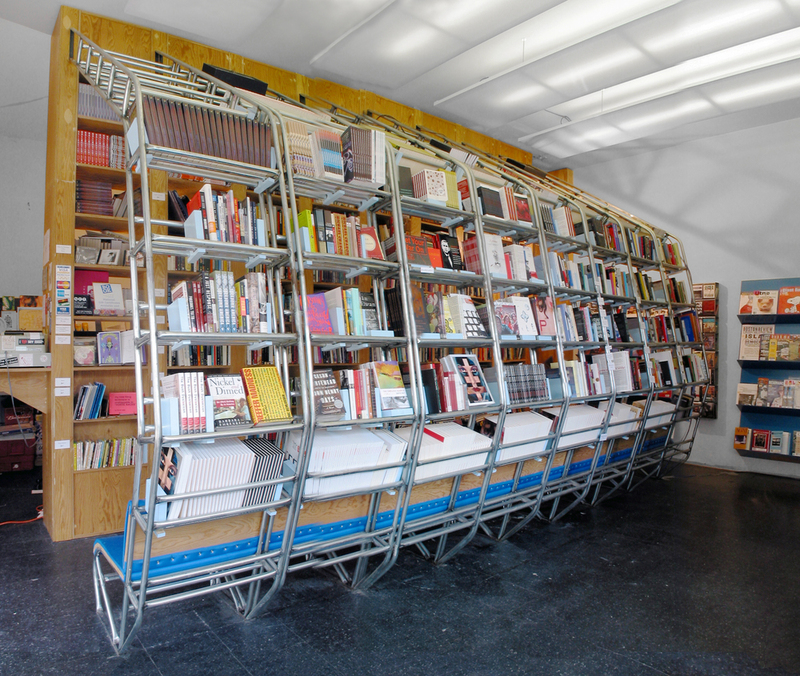 The Bookcave’s form lifts off the floor and bends overhead out of sight. The structure is an armature of bent steel conduit, a trade material used to build exterior awning supports. 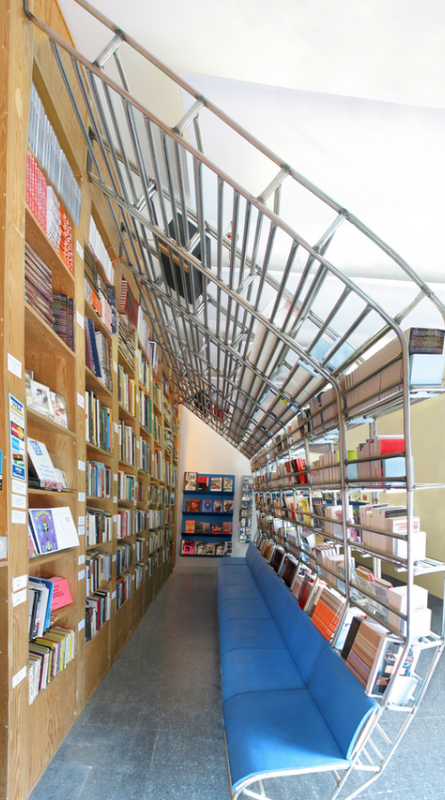 The two-foot wide modules can join to form bookcaves of varying lengths. The armature’s shape creates the space by arching away from its supporting wall. The final bend near the floor, a place to sit and read, forms a bench padded with foam.